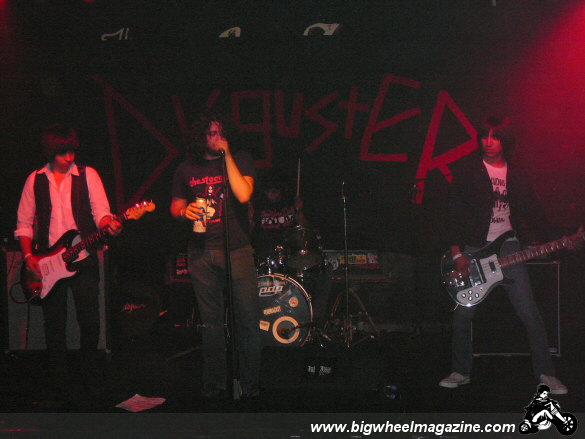 Disguster celebrated the release of their newest album, "Not So Sweet" in one of Orange County's favorite bars for Punk and rock shows, The Juke Joint. Despite the fact that the show was on the same street as a Mike Watt gig on the same night there was a decent turn out once the show started getting rolling. The audience was made up of an even mix of younger people in their early to mid twenties and older fans. 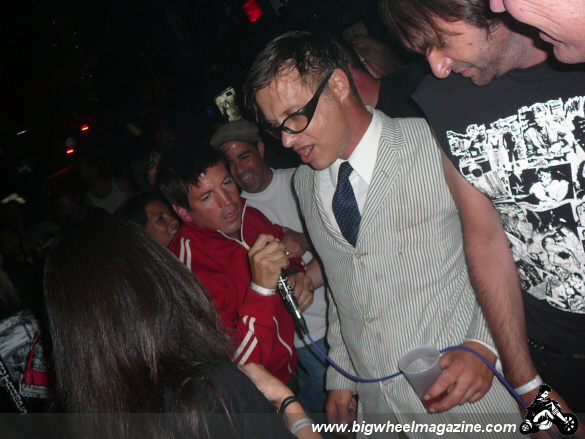 There was a real rock n roll vibe with people drinking all night and tons of ladies who were dressed to be noticed. The Stitched Lips had the honor of opening the show and they played some pretty decent garage Punk type stuff, mixing influences from bands like the Stooges with vocals that were reminiscent of the Misfits or early Danzig. To be obnoxious we'll say that they are a post Punk band with a proto Punk influence. The guitars at times had a heavy almost bluesy groove and the band managed to be tight but raw at the same time. Providing additional support were The Hellers and The Strangers. 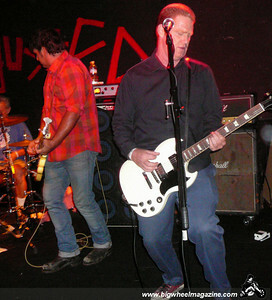 The Hellers take a lot of cues from bands like the Ramones, Queers, and other bands that wear Converse and leather jackets. They completed their set with a Dee Dee Ramone cover and an original song called "Asylum" which stuck out as one of their more memorable songs. The Strangers are a relatively new band but they have a lot of momentum and have already developed a following and even gotten some airplay on local radio stations. 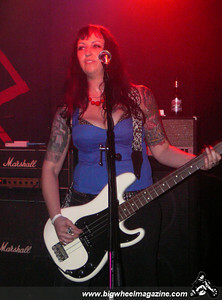 They have the Punk n roll sound down pretty well and are always well received. With The Crowd and the Strangers playing back to back it was a double header of the Milucky brothers- Rob on guitar in the Strangers and Boz on guitar in The Crowd. The Crowd played a mix of material from the "Beach Blvd" era and their two most recent albums- "Punk Off," and "Letter Bomb." They also threw in a cover of Generation X's "Your Generation" and ended their set with the Flyboys' intro. 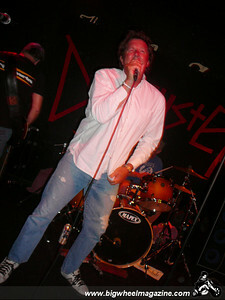 Throughout the set the members of the band were jumping all over the stage and at one point guitarist, Jim Kaa was even hit over the head with a microphone, but they continued to play a rocking set without interruption.